My name is Flora Dane and I was kidnapped from a beach on spring break. I spent 472 days with my captor before I was found. I spent the last five years trying to reacquaint myself with the rhythms of my life. But everything is different. I've had to learn how to protect myself in this dangerous new world. There are other predators out there and I'll do anything to stop them. Am I a victim or a vigilante? Detective D. D. Warren doesn't know. Sometimes neither do I.
Escaped kidnap victim Flora Dane has once again disappeared. Has the self-proclaimed vigilante become a victim? Or is something far more sinister at play? D.D. will have to race against the clock if she is going to Find Her. Along with many other people, I do have a fear of being buried alive, so when Find Her starts with a girl waking up inside a wooden coffin, I almost broke out into a sweat. 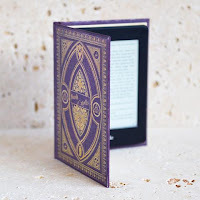 I wasn't sure if I could read it but, although it is quite frequently mentioned, it doesn't dwell on it too much so I managed to regulate my breathing and get on with the book. What is so clever about this book is that it takes quite a few chapters for you to realise just who the main character is. She is not identified and named as Florence (Flora) Dane until the police find her with her hands tied, standing over the dead body of her latest abductor. An abductor who seems to have links to other missing women and coincidentally (or not) Flora was once kidnapped and held captive herself, leading to the question 'is Flora a victim or vigilante?' Then Flora goes missing again, so it's up to D.D. Warren to work out just what the devil is going on and lead the hunt for the mystery man who is abducting these women. Lisa Gardner is always good value for money. I don't think I've read a book of hers that I didn't enjoy. There are always going to be some better than others and Find Her definitely falls into the better category. It draws you in from the start as you experience every terrifying moment of being held captive in a confined space. Both Flora's and her family's emotions were explored in the aftermath of her disappearance and it was frightening, and totally believable, how her assailant really got inside Flora's head. 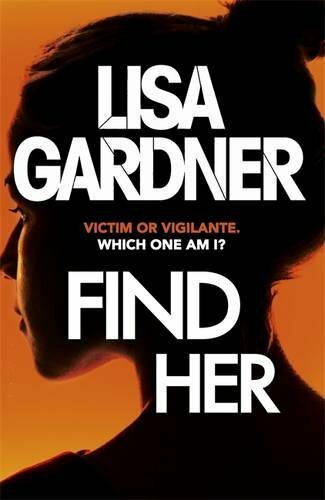 Find Her is a top psychological thriller with a heart pounding storyline that really puts the reader in the shoes of an abductee. It punched me in the gut to get my attention at the start then proceeded to wring my heart out with the emotion I felt for the missing women. I received this book from the publisher, Headline, in exchange for an honest review.